I stumbled upon a way to keep our carved pumpkins out of the landfill quite accidentally about five years ago. Not having enough time to bag them up, I just put them in the backyard garden. Then never got around to it. Thanks to the squirrels and a Chicago winter, they decomposed quite nicely. By the time spring flower planting time came around, the only trace of pumpkin remaining was the stem. The pumpkins left in sunny spots decomposed more quickly. And they added some nice color until they, well, until they didn't. Or, you could try what we did one year. 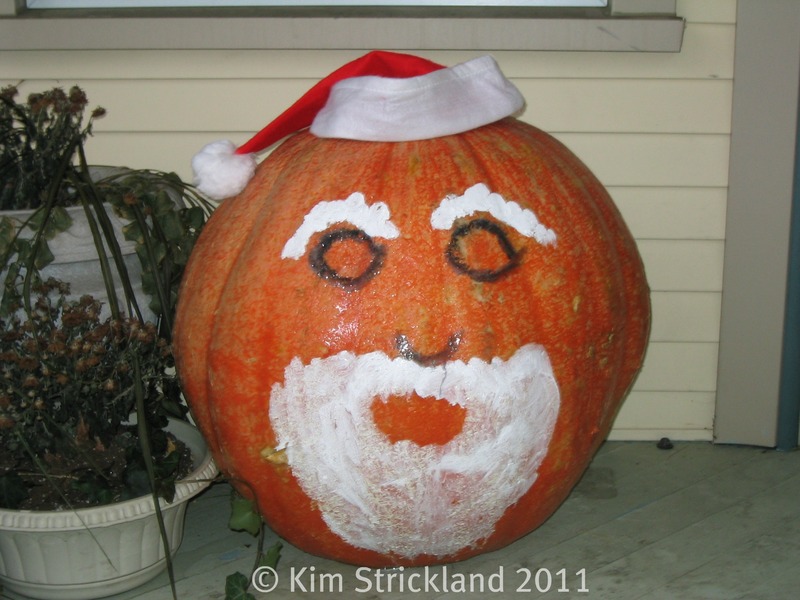 Just ignore the giant pumpkin on the front porch in hopes that someone (Santa?) would carve it up and take it away. While it may be worth a few laughs, from personal experience with the gag reflex induced in disposing of said pumpkin, I cannot recommend this approach.